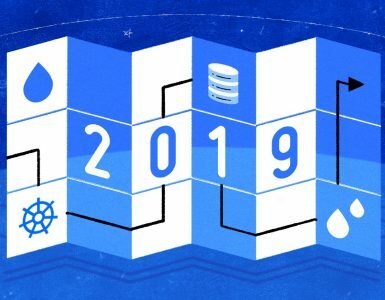 DigitalOcean just published their product updates for the first quarter of 2019. A new kind of Droplet. Load Balancers now support Proxy Protocol. Managed Databases roll out with PostgreSQL. And their Marketplace has opened that offers a diverse catalog of preconfigured 1-Click Apps. General Purpose Droplets provide a balanced mix of RAM and dedicated CPU, in a 4:1 ratio. Because your vCPU has a dedicated physical CPU hardware thread, General Purpose Droplets guarantee uninterrupted high performance. Pricing is straightforward and highly competitive with our entry-level 8GB RAM/2 vCPU General Purpose Droplet costing $60 per month, or just $0.089 per hour. You can use these new Droplets for use cases like highly trafficked web and application servers, databases, ad servers, gaming servers, and caching fleets. General Purpose Droplets are now available in five of our global data centers: New York, San Francisco, London, Frankfurt, and Singapore. This industry standard allows load balancers to pass client information (e.g. IP address and port number) to the destination server. You might want to turn on Proxy Protocol if, for example, you’re analyzing traffic logs, or if you want to adjust your application’s functionality based on GeoIP. Starting with the PostgreSQL engine, you can now launch a database with the push of a button while DigitalOcean handles maintenance operations, backups and updates. Need to host a production workload? No problem at all. With standby nodes, the service will automatically switch data handling in the event of a failure.